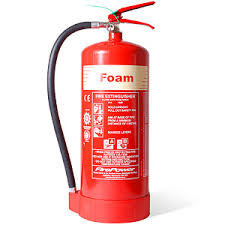 Keeping in mind the varying requirements of the customers, we are engaged in offering a wide range of Foam Fire Extinguishers. These are used amongst the customer’s for their precise use and sturdy construction. We offer products to our customers in the promised time frame to meet the market demand. Paragon Fire Services since beginning in the year 2014 is involved in wholesale trader of Fire Extinguisher, Fire Safety Equipment and Fire Safety Sign Board. We are service provider of Installation Service and Maintenance Service. Our complete product range is much admired for attributes such as high efficiency, hassle-free functioning, quick installation, robust design, longer working life and durability.